For toned, healthy looking skin! Hippy Heaven Silk Skin Contour Cream with Caffine supports healthy, radiant looking skin, firms and smooths and improves skin tone. Certified cruelty free. Revitalising, moisturising coconut and jojoba oil and vitamin rich wheatgerm oil help to enliven the skin’s appearance. Natural essential oils and extracts support skin toning effects, leaving the skin feeling and looking beautiful. An incredible and unique combination of plant extracts and essential oils for toned, healthy looking skin! Use lotion morning and night for at least one month, then maintain with once a day application. Using a dry body brush or loofah prior to application will intensify the absorption of the cream. 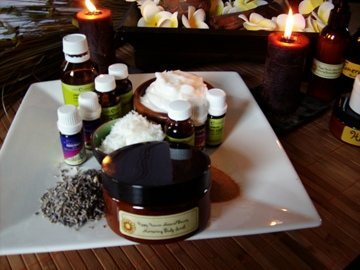 Massage lotion into the skin using circular movements and moderate pressure, towards the heart, until lotion is absorbed.